That's what's being said: allowing fundamentalists/evangelicals call the shots IN gov't over maintaining the Separation of Church and State as outlined by the Constitution. Republicans are the political arm of christianity; a wholly UNAmerican group of inbreds. 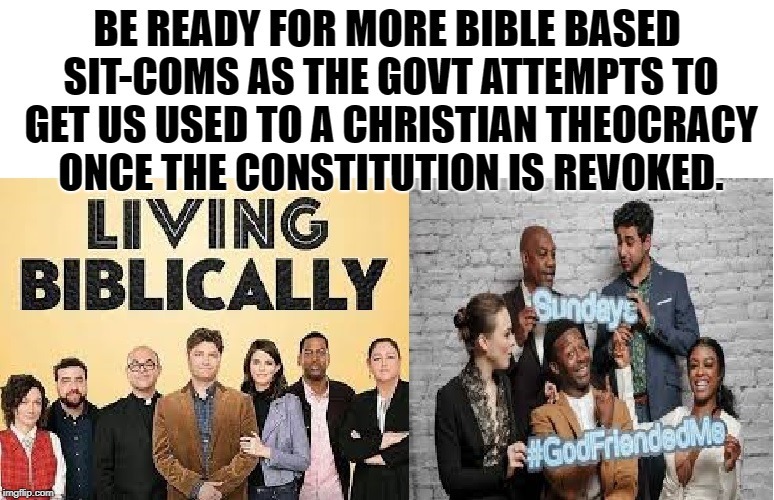 BE READY FOR MORE BIBLE BASED SIT-COMS AS THE GOVT ATTEMPTS TO GET US USED TO A CHRISTIAN THEOCRACY ONCE THE CONSTITUTION IS REVOKED.